If good design is a balance of aesthetics and utility, the craft peaked in the years between 1945–1970. This era of modernism hit the design sweet spot: functional beauty. Finding harmony between the natural and the manmade, artists and craftsmen created objects that serve their purpose with organic grace. This site is a tribute to the mid-century modern movement as both a historical milestone and a living ideal, reflected in today’s best furniture, architecture, and design. Your host is Stephen Coles, a writer and graphic designer living in the San Francisco Bay Area. His other endeavors are Typographica, a journal of typography, and Fonts In Use. Feel free to contact me with suggestions, corrections, praise, or castigation. I am a big fan of your blog. I recently launched a website that is a guide to Modern Architecture, Shops and Events. I am looking for collaborators — especially ones with such a great design sensibility. If you are at all interested, I would love to work with you. I found your site while looking for a Mid-Century Dining table. I really like the site! I thought you might want to take a look at my web-sire http://www.samuelowengallery.com We have many mid-century vintage posters in our travel section of the site that I thought you would enjoy. Also, I am curious about the “Moby was a consumer” t-shirt. Is that a reference to Moby the whale or Moby the musician? If you were not aware Moby the Musician is a collector of mid-century furniture and design. This is a wonderful site. But maybe because of my screen or maybe because of my eyes, but I can’t read the whit on black text in the default font but need to cut and paste to a word document. For a designer you seem to have missed a trick here. I’m sorry to hear the text here is difficult for you to read. I wanted to do something different with the design, avoiding the standard black type on white. But of course no design is optimal for everyone. Is the text too light or too dark in comparison to the background? What an awesome site! I’m an interior design student and I absolutley love Midcentury Modern. I’m so happy I found it. :) And too bad that shirt is sold out. Our company specializes in mid century modern scandinavian deisgn. We are also work a great deal with Danish manufactrurers and deisgners. I have been collaberating with Arne Vodder for the last 18 months and we are launching a range of furniture he designed in the late 1950’s for Sibast. including his famous sideboard., all of which is being manufatctures under Arne’s guidance in Denmark. We are launching the range at the stockholm furniture fair in February 2010. 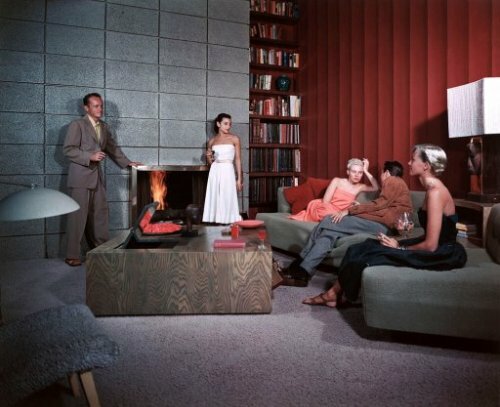 How does the Mid Century Modernist feel about Twitter? 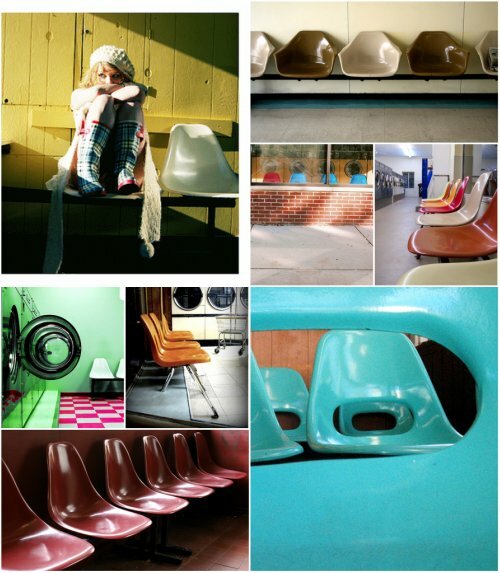 I’m aching for some Modern design lover community there. I think MCM could help us galvanize. Are you up for helping to establish a hashtag? Hi Jackie – I haven’t spent a lot of time following modern design on Twitter, but I’m there and open to ideas.